Emma Lee Patterson Jenkins was born March 22, 1949 to Miss Lula Mae Patterson and the late Wiley Donald in Saulsbury, TN. Her funeral was held on Saturday May 12, 2018 at 12:00 pm at Mt. Salem MB Church with Pastor Melvin Bufford in charge. Burial was in the Church Cemetery-Hickory Valley, TN and Dixie Funeral Home http://www.dixiefuneralhome.com/ was in charge of the professional service. She received her education in Hardeman County Schools. Emma accepted Christ at an early age at St. Paul Skippers Spring Church. She later joined Hopewell M.B. Church where she was a faithful usher for many years. Emma Lee later joined Mt. Salem M.B. Church where she remained a faithful usher as well as a Pastor’s Aid member. She loved her church family and remained faithful until her health failed. Emma was preceded in death by two brothers, Homer Lee Patterson and James Donald; two sisters, Linda and Pauline Donald. 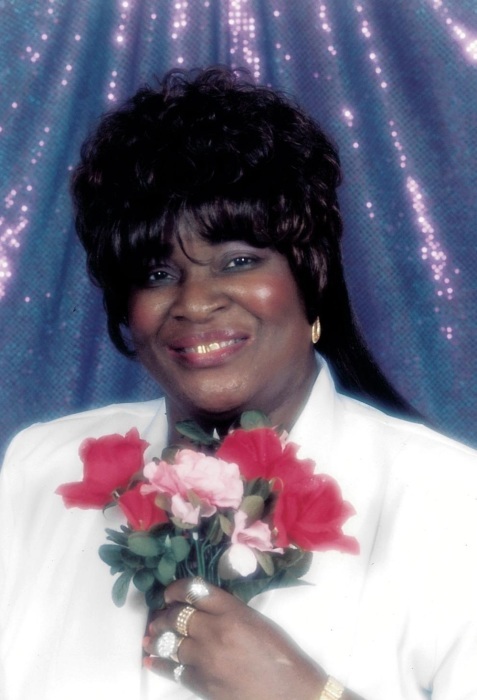 She leaves to cherish her memories: her loving mother, Lula Mae Patterson of Bolivar, TN; two daughters, Dianne and Juanita Patterson of Grand Junction, TN; two sons, Albert Jenkins Jr. of Grand Junction, TN. and Ryon D. (Sharon) Patterson of Olive Branch, MS.; five sisters; Pauline (Jerry) Lotefield of West Memphis, AR., Sarah Warren of Grand Junction, TN., Darlene (Mitchell) Hopkins of Memphis, TN., Peggy Stewart of Lamar, MS. And Mary Donald of Collierville, TN. ; two brothers, Lee Rose Patterson of Grand Junction, TN. and Willie Lee (Evon) Patterson of Bolivar, TN. ; ten grandchildren, thirteen great grandchildren; a special cousin, Mrs. Mary Nell Harris; a special, dear best friend and caregiver, Mrs. Emma Tomlinson and a host of nieces, nephews, cousins, and all those who called her momma who she loved dearly.